The University of Maryland University College appears in our ranking of the Top 10 Cheapest Online Master’s in Information Assurance Degrees. The University of Maryland University College offers several undergraduate and graduate degrees in computer science, as well as options to earn certificates. Available bachelor’s degrees include Computer Networks & Cybersecurity, Cybersecurity Management & Policy, Information Systems Management, Software Development & Security, Digital Media & Web Technology, and Computer Science. At the graduate level, students can earn a degree in Biotechnology with an emphasis in Bioinformatics, a Cybersecurity Management & Policy degree, or a Cybersecurity Technology degree. Other majors at the graduate level include Cloud Computing Architecture, Data Analytics, Management, and Information Technology. There are eight different concentrations available for Information Technology students. The university also offers two undergraduate certificates that include Computer Networking or Project Management, as well as five graduate certificates that include Bioinformatics, Cybersecurity Technology, Information Assurance, Foundations in Business, or Cybersecurity Management & Policy. The university describes its computer science degrees as offering students “highly marketable” skills which can lead to successful careers. Degrees are also an excellent option for preparing for certification, and graduates can prepare for certification exams for licensure as Cisco Certified Network Associates or Microsoft Certified IT Professionals. The university also estimates that the economy will add at least 128,000 jobs in computer science every year for the foreseeable future. Some of the undergraduate classes students may take while enrolled in a computer science program at the University of Maryland University College include Introductory Programming, Computer Systems and Architecture, and Data Structures & Analysis. Students may also take Object-Oriented and Concurrent Programming, Design & Analysis of Computer Algorithms, and Current Trends & Projects in Computer Science. Some of the specialized courses a student may take as an Information Technology student studying Informatics include Relational Database Systems, Foundations of Information Security & Assurance, and Internet Multimedia Applications. Graduate programs usually require that students complete around 36 credits, and students can come to the program with one or two classes worth of transfer credits. Undergraduate programs require that students complete 120 credits, and students can transfer up to 90 credits in certain programs. Transferring credits can help students who haven’t finished their degree at another institution and have been looking for a school with an online or distance learning option. Students interested in becoming a Microsoft Certified Solutions Expert, an Oracle Certified Java Programmer, or gaining any other official certification should contact the school to figure out the best program for that aim. While enrolled in classes, students may also choose to join the Computing Club or Upsilon Pi Epsilon, which is the international honor society. The University of Maryland University College is located in the town of Adelphi in Maryland. Students can attend classes at the main campus or any of several satellite campuses or online. Some campuses are in different countries in Europe, Asia, and the Middle East. Worldwide, more than 90,000 students attend the university, and the institution also boasts one of the largest populations of distance-learning students. UMUC is one of eleven schools within the University System of Maryland. The official colors of the school are red, black, and gold. Students can choose from 120 academic programs online or on campus. In addition to offering undergraduate, graduate, and doctoral degrees, the university also offers students the option of earning certificates. The Middle States Commission on Higher Education (MSCHE) is the regional accreditation body for the University of Maryland University College. MSCHE is recognized by the United States Department of Education, as well as the Council on Higher Education Accreditation. Alongside its regional accreditation, several programs offered by the university are nationally accredited by various organizations. The Master of Business Administration is accredited by the International Assembly for Collegiate Business Education. The Project Management Institute Global Accreditation Center for Project Management has accredited the Master of Information Technology, Project Management degree, and graduates of the program will have earned 1,500 of the required 4,500 project hours required to take the Project Management Professional Credential Examination. Admissions at the University of Maryland University College are offered on a rolling basis, which means students can apply at any time to begin at the university’s next program starting date. To apply, students will submit an online application, as well as a copy of their transcripts with a list of dates of attendance and other information about the degree earned. Military students and veterans of the armed forces will also submit documents with information about the student’s status or date of separation. Students will pay an application fee of $50 for undergraduate and graduate programs and $100 for doctoral programs. The university offers open enrollment for undergraduate programs, which means all applicants can enroll in classes as long as they meet the minimum standards for admission. 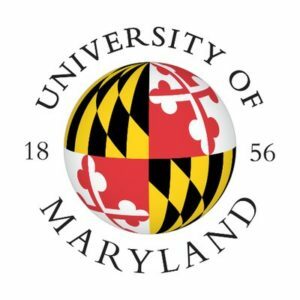 Tuition for Maryland residents attending the University of Maryland University College starts at $294 per credit for undergraduate programs and increases to $458 for standard graduate programs. Students who enroll in specialty graduate programs will pay $694 per credit, and doctoral students will pay $1,087 per credit. Out-of-state tuition rates for undergraduate programs start at $499 per credit and increase to $1087 per credit for doctoral programs. Members of the military and veterans are eligible for special tuition rates that start at $250 per credit for undergraduate programs and align with in-state tuition rates for graduate and doctoral programs. Financial aid is available to students who qualify at the University of Maryland University College. Students can apply for federal student loans when they submit a FAFSA form, as well as seek out grants and scholarships related to their course of study. According to the university, most people who qualify for financial aid will receive an aid offer that includes federal loans, which are advantageous because they feature lower interest rates than private student loans. In addition to federal loans and private loans, students may also qualify for Federal Pell Grants or the Federal Supplemental Educational Opportunity Grant. The university also offers some institutional grants and scholarships like the University of Maryland University College Foundational Scholarship and the University of Maryland University College Northeast Tri-State Scholarship. Students in computer science degree programs at the University of Maryland University College are encouraged to seek out a variety of financial aid types to fund their education.